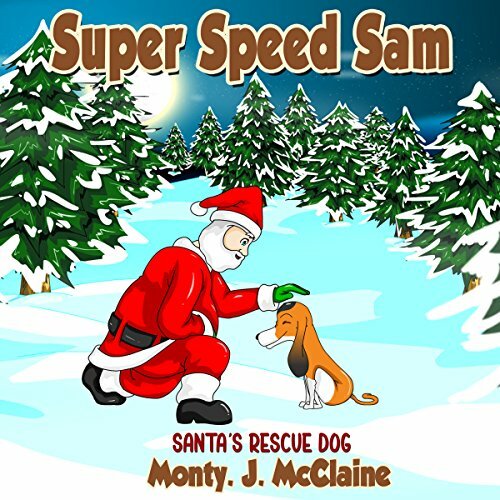 Showing results by author "Monty McClaine"
A day in the life of Sam includes daydreaming about cakes made of dog bones, relaxing with the McClaine family - Dad, Mom, six-year-old Jack and baby Molly, and endlessly "saving the day" from inevitable catastrophe! 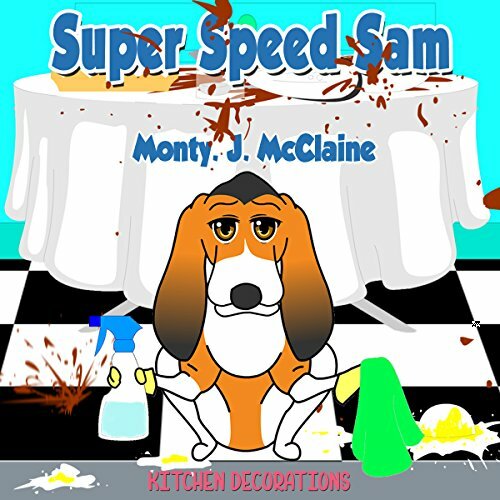 The McClaines' faithful basset hound, Sam, knows how to use his superspeed powers, even in a pinch, keeping it top secret from everyone except for baby Molly, of course. What he does not know is how these powers started - that's a big secret to him! In this extra special Super Sam episode, you're about to find out! Whether following Santa and his reindeer or discovering a special sleigh-recovery team of elves, you won't be able to stop listening to this holiday special! 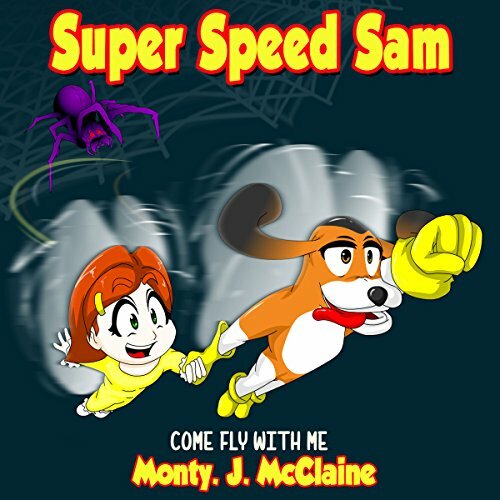 Full of humor, thrills, and a few twists and turns, this mysterious Super Speed Sam episode will keep you and your little ones on the edges of your seats! Listen to Come Fly with Me! to find out if Sam and Molly survive Mom's newspaper and Dad's deathly chemicals and become human again - well, human and dog! Protector, friend, digger of bones - Sam plays all of these roles. Yet, he stands out from other dogs with his super top-secret, super-special powers that include speed, sleuthing, and cleaning to name a few! With these powers, Sam can do things like clean up a massive mess, using rubber gloves and spray, in a matter of minutes instead of hours! Jack, Mom, and Molly set out to bake a cake one rainy day. 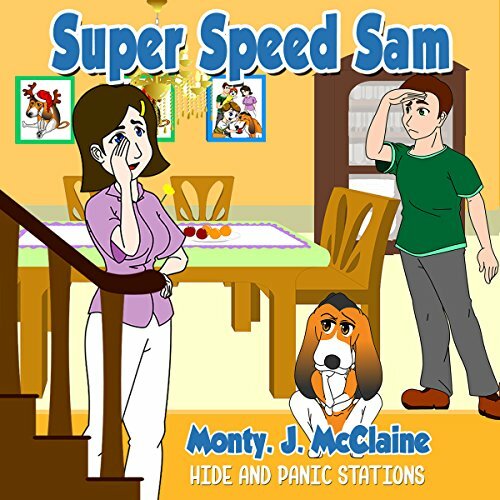 As the lovably mischievous boy helps Mom, with Molly as the audience, Sam is able to keep up, cleaning minor messes. That is, at first. The lovable basset hound is devoted to his human family, which includes Mom, Dad, Jack, and baby Molly. Sam can almost always be found hanging out with the family, daydreaming, eating, or playing a game with the kids. In most ways, Sam has the typical traits of most other canines. That is, all except for one very top secret thing. 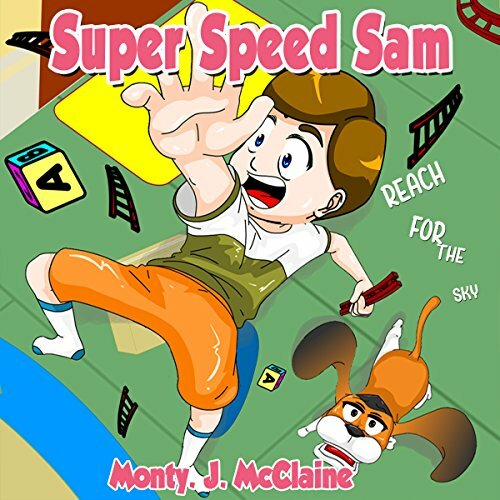 Like his great, great, great, great grandfather, Sam can summon the power of super speed along with another helpful ability to suit his need - such as super sleuthing or super cleaning.